Crusader Holidays are delighted to present over 100 holidays, across more than a dozen fascinating countries in Britain and Europe, each taking you further and creating more memories than ever before. 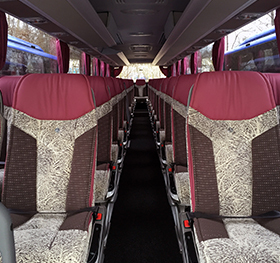 From weekend and midweek breaks, to longer holidays, discover the best of Britain and Europe by coach, with Crusader Holidays. Our 2019 holiday collection is full of brand new breaks as well as classic favourites, both in the UK and Europe. We sincerely hope that you will be inspired to get out and about and experience some unforgettable places and create some wonderful memories with old friends and new friends alike. 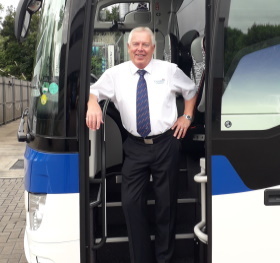 With over 40 years of know-how, our carefully planned itineraries and excursions ensure that you will enjoy the very best a region has to offer. Whether it’s a 3 day weekend break or a 9 day holiday, we understand how important and enjoyable getting away can be. When you book with Crusader Holidays you can rest assured your holiday will represent real value for money when you compare the quality and standards offered along with the many extras included. To make the most of your time away with us we offer included excursions on many of our holidays. Our excursions have been carefully designed to give you the opportunity to discover the very best your holiday destination has to offer. Whether it’s a guided city or walking tour, train or boat journey, entrances to museums and gardens or something a little different such as wine tasting, a caves experience or a wildlife safari, we are sure to have a memorable excursion to enhance your holiday experience. All Crusader Holidays include FREE joining and return points from over 120 destinations in the South East and Home Counties. For your convenience all our joining points and times can be found on pages 138 & 139. Alternatively, you can visit the interactive map on our website to find the nearest joining point to your postcode. 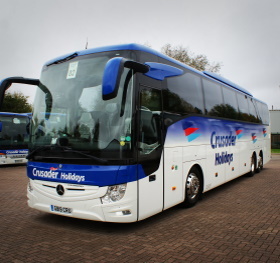 Crusader Holidays are members of the Bonded Coach Holiday Group of the Confederation Of Passenger Transport UK Ltd. This is a government approved consumer protection scheme. 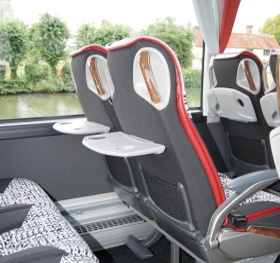 This ensures that in relation to the coach package holidays described in this brochure that the clients' monies are protected by a Bond which may be called upon in the unlikely event of the Member’s Insolvency. Put simply, you money is safe with us.